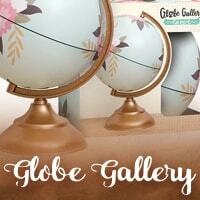 Globe Gallery - there are various globe kits as well as embellishments for decorating them. Choose from a number of different themes and add-ons. You can document your world travels with the Map globe or just go for purely decorational globes from the collection. 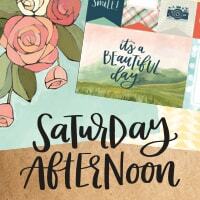 Creekside - enjoy wonderful paper stacks, stickers, stationary, pins, clips, die cut shapes, and more. All the various elements will look great together, so it's easy to make awesome scrapbook layouts, picture frames, greeting cards, etc. You will love decorating your home, your scrapbook albums, and more with these delightfully creative solutions. If you'd like to see us carry more 1canoe2 products, please be sure to tell us about it. We also want to see your projects on instagram and facebook, so when you post them, please tag us. You can learn more about this awesome company at 1canoe2.com.